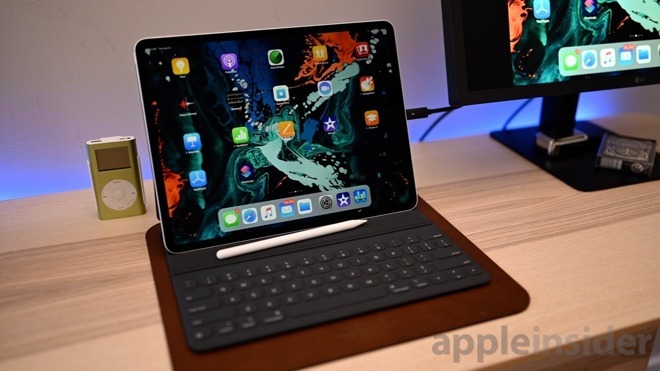 Jun Zhang from Rosenblatt Securities claims to be seeing iPad Pro sales "weaker than we expected so far," which the analyst is blaming on the price of the device. Additionally, coupled with that, Zhang is expecting to see iPhone XR and iPhone XS production to "come down slightly" —but in comparison to what isn't clear. As a result of all of these factors, Zhang has cut Rosenblatt's Apple stock target price to $165, predicting darker days ahead. However, his claims of low iPad Pro sales seem premature —and impossible to compare with actual figures —plus he is the only analyst predicting slow services growth. Historically, Zhang has under-estimated not just Apple's actual unit sales, but also the contribution of Services to Apple's bottom line. He was part of the chorus claiming that the iPhone X sales were bad —which was proven wrong by Apple's actual sales numbers and repeated remarks by Apple that the iPhone X was the best-selling iPhone after release in 2017 and well into 2018. Apple is predicting a likely record-breaking holiday sales period, expecting between $88 billion and $92 billion for the holiday quarter. The 2017 holiday season resulted in $88.3 billion in revenue —a period that analysts badly underestimated iPhone X sales.